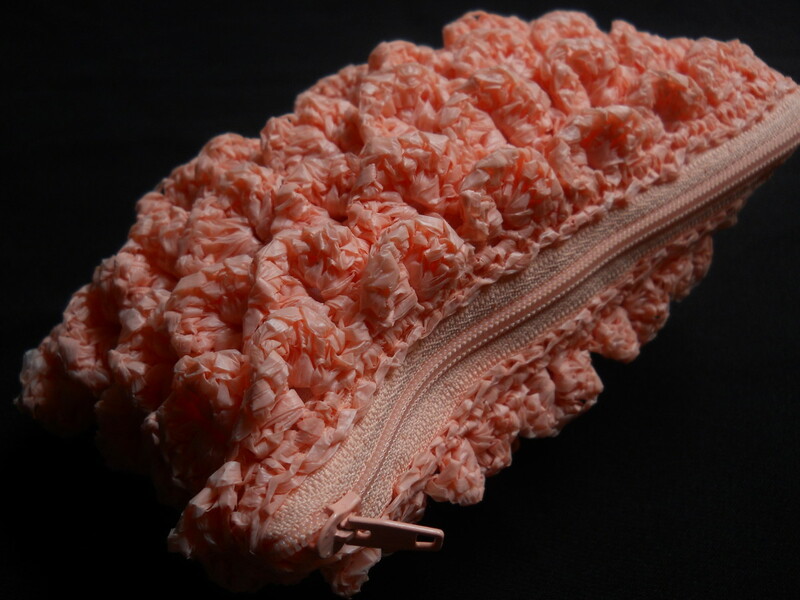 This project has been designed to be used by both beginners and the more advanced Feltmaker. 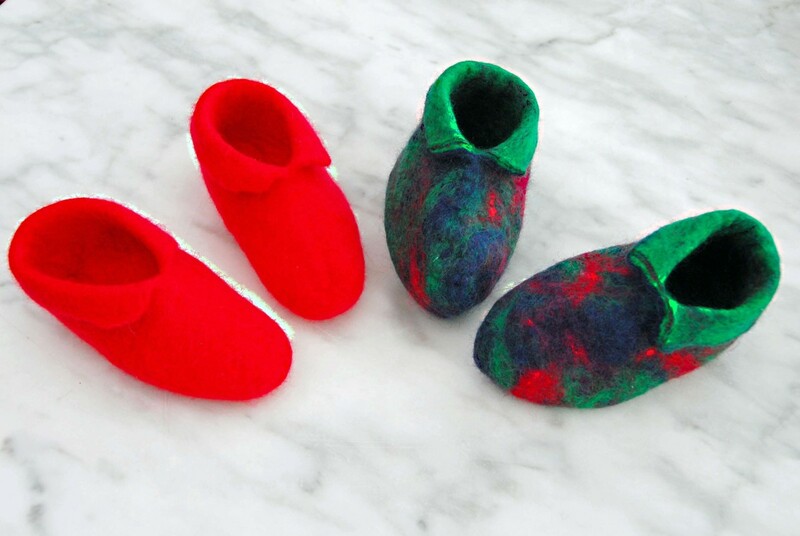 Merino Wool is a great choice for the booties as the wool felts easily and is soft enough to be worn close to the skin of a young child. Small quantity Merino wool roving (Merino wool roving felts quickly and is well suited to a small project like this which is aimed at those who are new to felting. Thick piece of heavy duty plastic( if using an electric sander. Copy the Template from the diagram included with this tutorial. 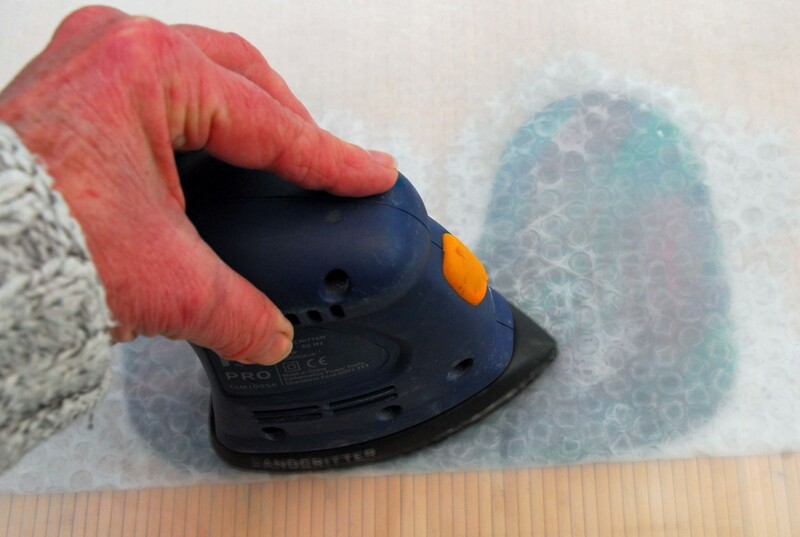 Cut the Template using a piece of bubble-wrap, or a firm piece cardboard with the edges taped. I used an old plastic folder for the purpose of this tutorial. However, it was slightly more difficult to remove them from the Booties than a bubble-wrap Template would be. It did nevertheless give a nice clean crisp edge which left no creases. The booties are made up of eight separate layers of Merino wool fibres, four thin layers on each side of the Template. For simplicity, the same colour can be repeated throughout the project, alternately you can use any colours of your choice or even a mixture of hand dyed Merino Wool. 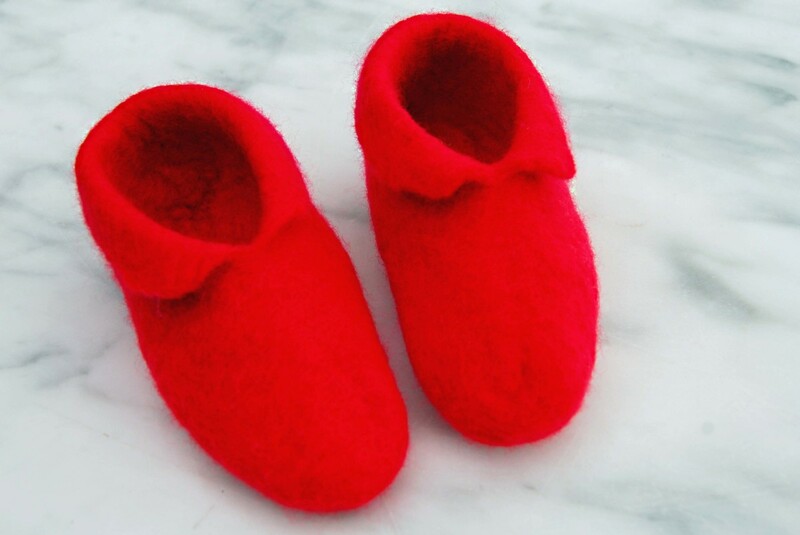 I have included an image below of a pair of plain red Booties. These were made using the same template and are displayed here purely as an example. If you wish to have a very smooth surface on your Booties, use the bottom layer as your top layer and treat the first one as the decorative layer. Turn the Booties inside out once you have removed the Template. When you make the cut for the cuff, all the layers will show through in the resulting cut. If you would like the cuff to be one colour throughout the layers, use only one colour. Be creative and have fun with your colours. Experiment with stripes or spots. 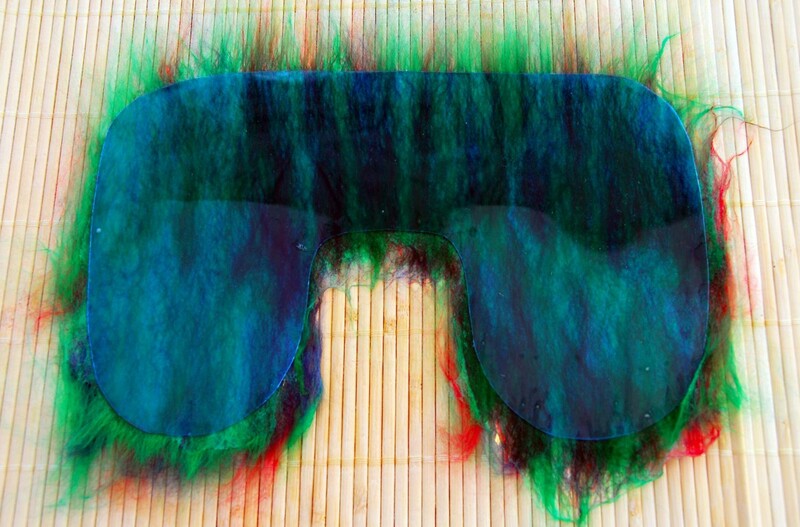 Wet thin pieces of fibres can be used to make eyes, noses, and mouths. Try using odd bits of silk interspersed with little bits of wool. Small slivers of wool fibres should always be placed over any silk decorations you use. The wool fibres will help embed the silk fibres into the wool. Silk always gives a lovely sheen to the surface of any felt. Place a towel down on a damp proof surface. Begin by laying down the fibers as shown in the video tutorial above, Lay the fibres first in one direction and then on each subsequent layer keep them at 90 degrees to the previous layer. Fold over the fibres which extend beyond the template. Keep them crisp and tight against the edges of the template. This will give the whole project a nice clean edge. Try using a plastic bag placed over your hand to help smooth out the fibers. It will help the hand glide easily over the top of the curtain netting. As the fibres start to relax with the hot soapy water, some will extend over the edge of the template. These are the fibers which should be folded back over the edge to give a nice neat edge. 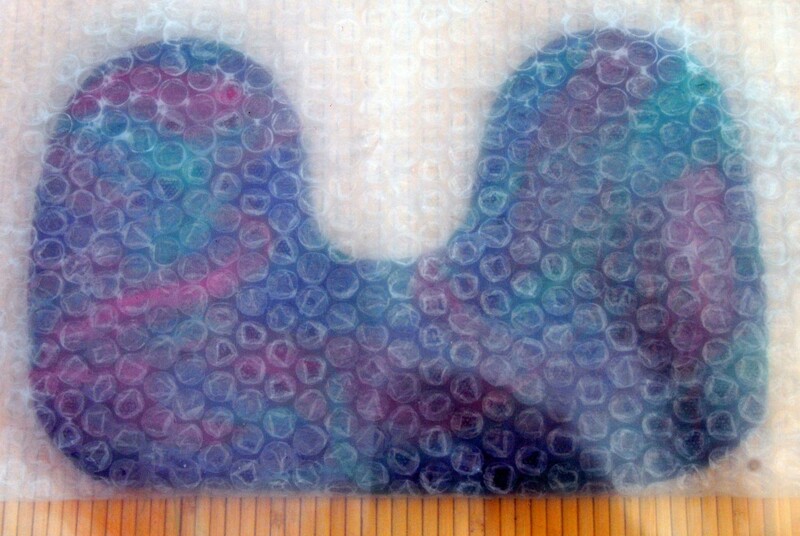 Once you have completed all four layers, place the whole project into the center of a piece of bubble-wrap. The smooth side should be on top. 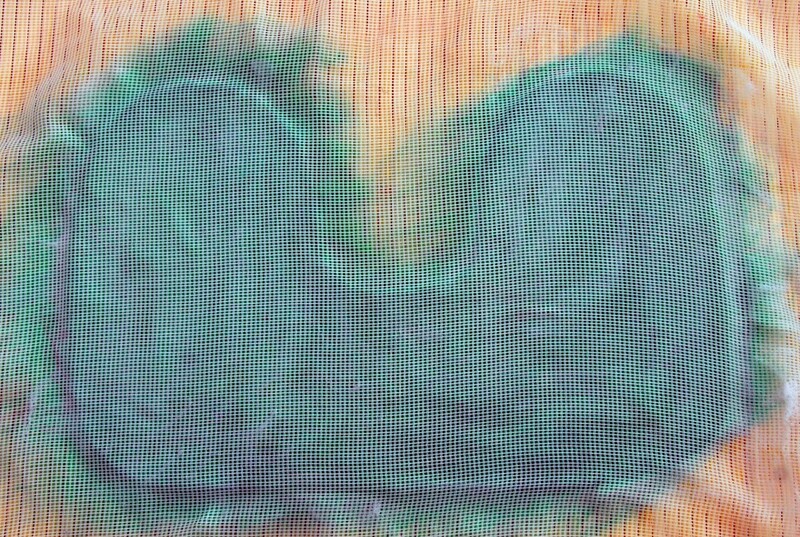 Cover with a sheet of thick plastic if you intend using an electric sander. Place a heavy duty piece of over the whole project if you intend using an electric Sander as shown in these images. The heavy duty plastic should be large enough to ensure that there is no risk of any water coming into contact with the Sander. 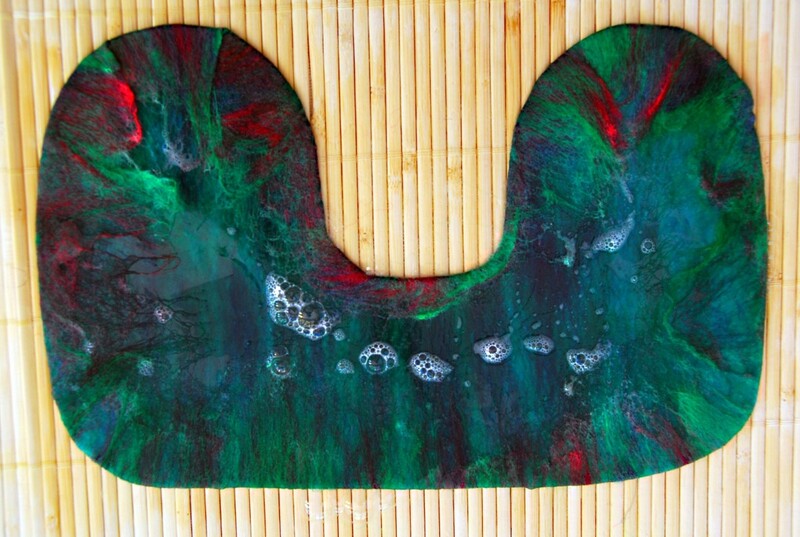 You may choose to use a more traditional method for your felting. If you do not intend using an electric Sander for this project, simply place a plastic bag over both your hands and rub the bubble-wrap well. Use gentle pressure at first, Turn and roll the project frequently. 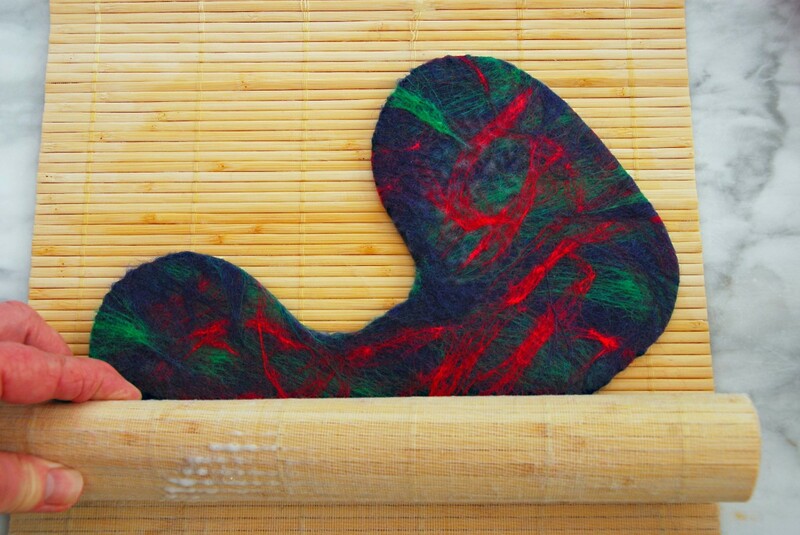 It should take about ten minutes for each side to reach the felting stage. You should be able to see the fibers as they start to tighten up. 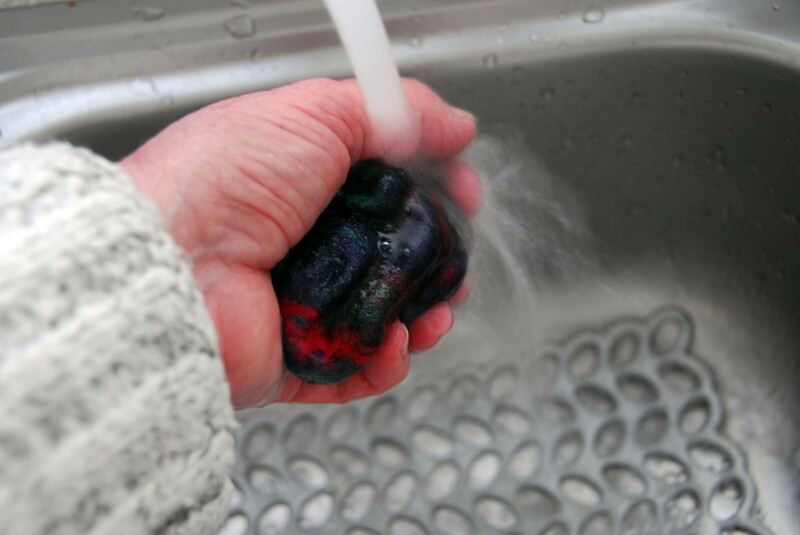 Add more hot soapy water as required until you reach the pinch test stage. This is when you can no longer grasp any of the fibers between your two fingers. Please see images. 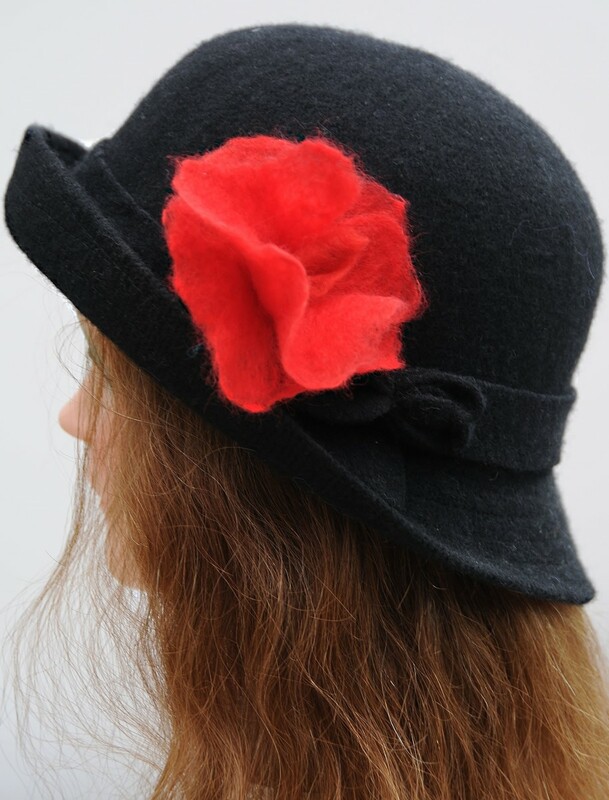 This short video Tutorial demonstrates how to make a 3D Felt Flower with an Electric Sander. It comes with a safety warning! Please always use a 'Ground Fault Adapter 'when working near water. Do a pinch test to see if the Project is ready for cutting. If individual fibres still drift and can be pulled away from each other, continue massaging for a further few minutes on both sides. Keep applying hot soapy water to further encourage the shrinking process. The bamboo mat or blind makes fulling very easy. Keep changing the direction in which you roll the project. You will start to notice that the fibres shrink back very quickly. 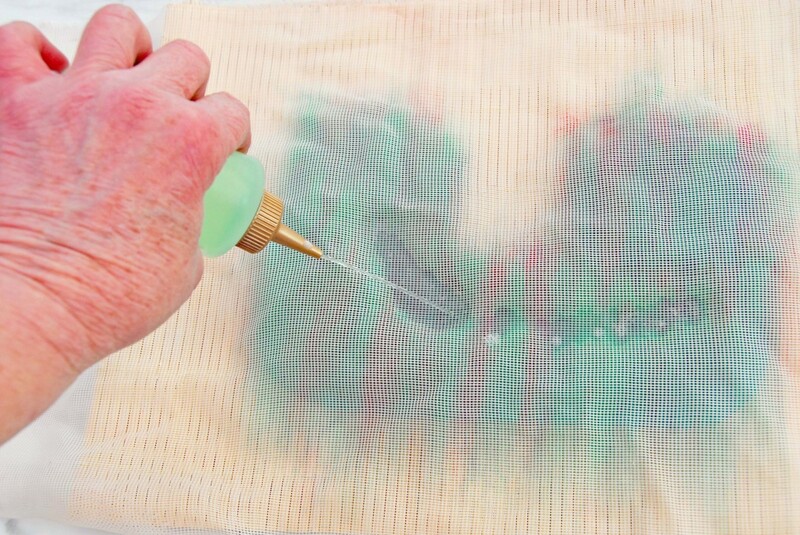 Results are far quicker using a bamboo mat than if using a piece of bubble-wrap! Ensure that you don’t remove the template too soon. 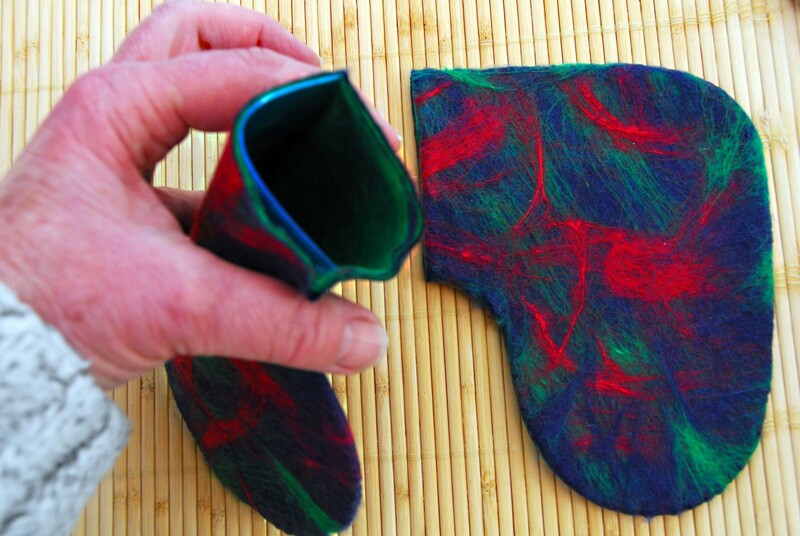 If you roll the cut booties without the template, the fibers can sometimes felt together making it difficult for you to separate the walls of the Booties from one other. 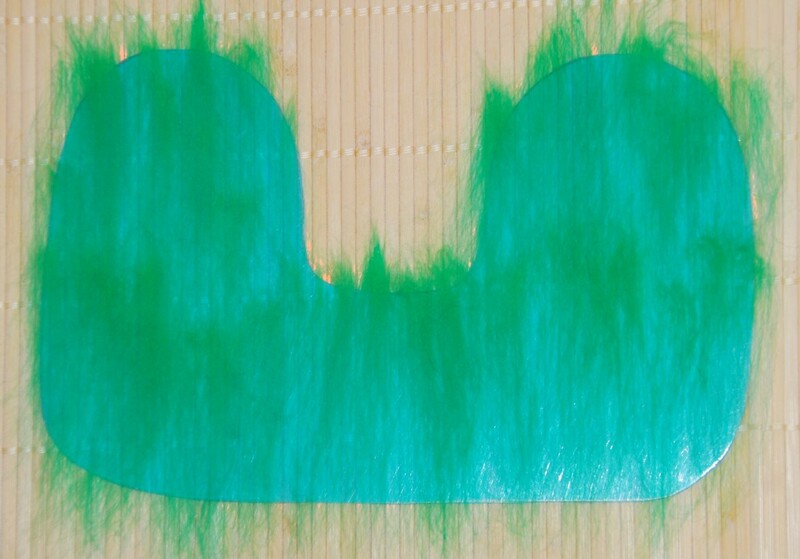 Only remove the template once you are satisfied that the fibres are felted properly together. If you find you have shrunk the Booties too much, apply some hot water and stretch them with your fingers. Remove the template and pop the Booties into a bowl of boiling hot water. Leave for a few seconds and then rinse under cold water. Repeat this twice to shock the fibers. It will encourage them to shrink back further. Using sharp scissors cut along the crease of each Bootie. Each cut should be approximately 3.5cm. Turn both of the booties inside, out and sprinkle with some hot soapy water. If there are any wrinkles, massage them gently with your fingers. You can now decide which side you want to use for the right side to your Booties. The cut edge should be rolled between your thumb and forefinger with soapy warm water to help give a nice finish. Stuff some bubble wrap into the Booties and allow them to dry. You may wish to cut further up into the Bootie to create a pair of lace up boots without the cuff. Use an Awl to punch six holes for the laces or use a cord to complete your Booties. Little pompoms and small beads can be attached to the laces. 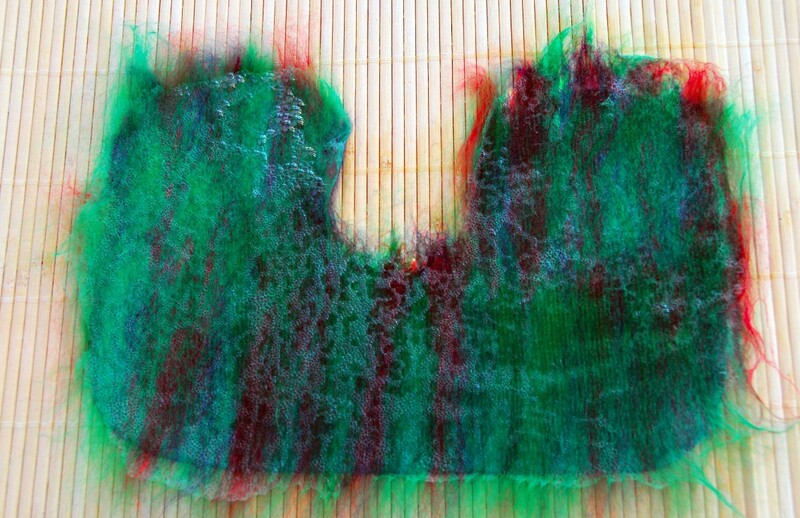 Have you tried doing Wet Felting? Is this Project something you would like to try? I would say that these were for a baby of around 3 months old. 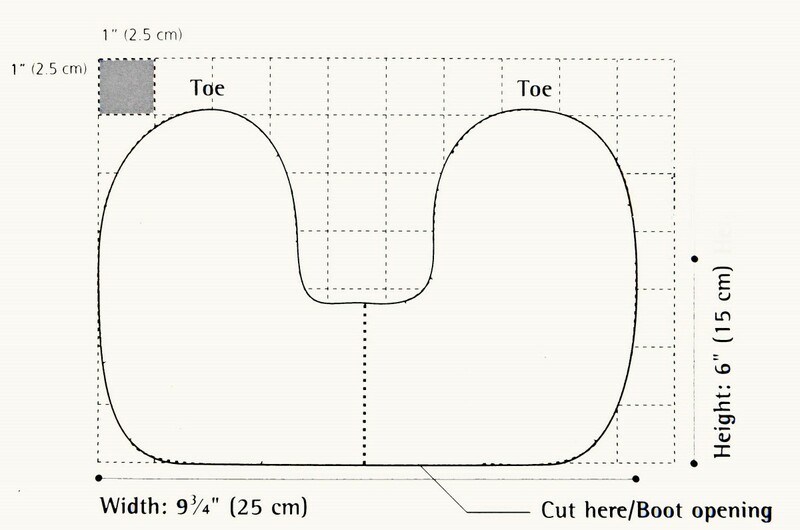 I would suggest that you draw around the feet of the intended wearer and scale it up to around a 1/4 or 1/3 of the actual foot size. I find that it is always best to go bigger than smaller. It is so easy to shrink something down especially if you use a tumble dryer but almost impossible to stretch the wool. How do you scal up the patern for older children and what size is the original patter for? 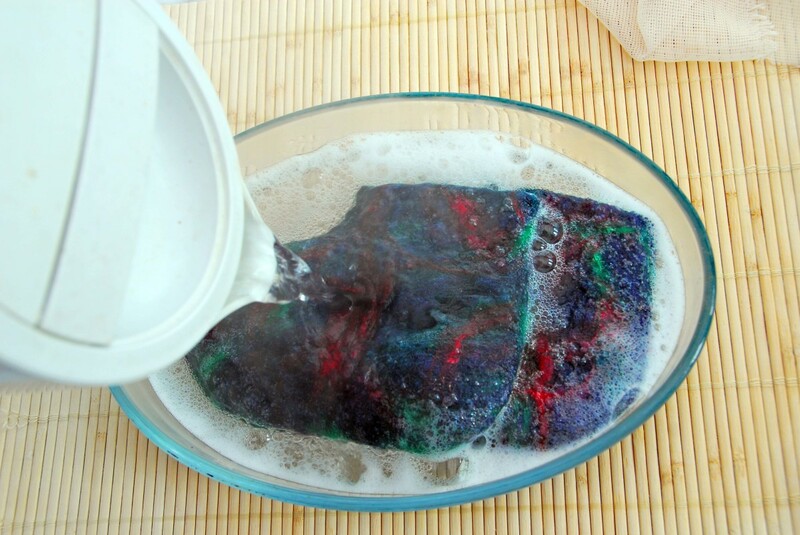 Glad you enjoyed reading this wet felting tutorial. 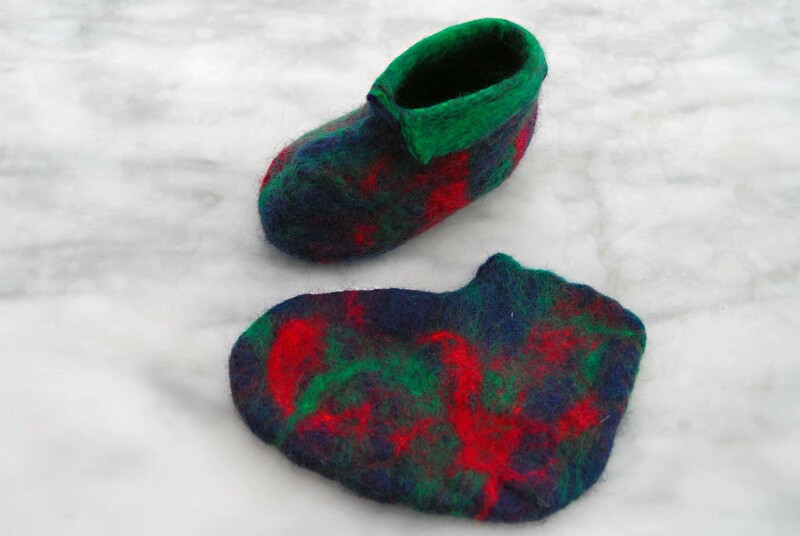 No need to wait for winter as little booties like these make lovely gifts for newborn infants. 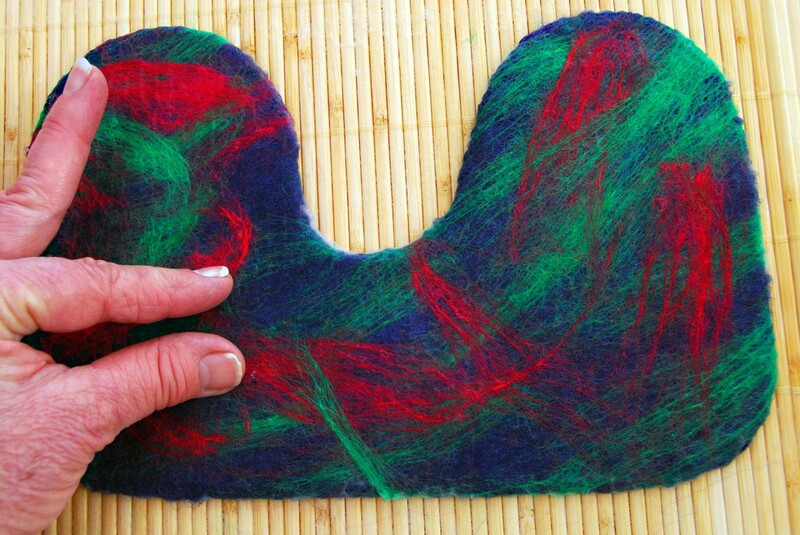 This is a lovely project for anyone first starting out with wet felting. It is enough of a challenge without feeling that any materials you use may go to waste. Give it a go - I would love to hear how you get on. This is awesome ! I never think that something like that was possible .. I really want to make these for the newborn of my cousin... I will try my best ! 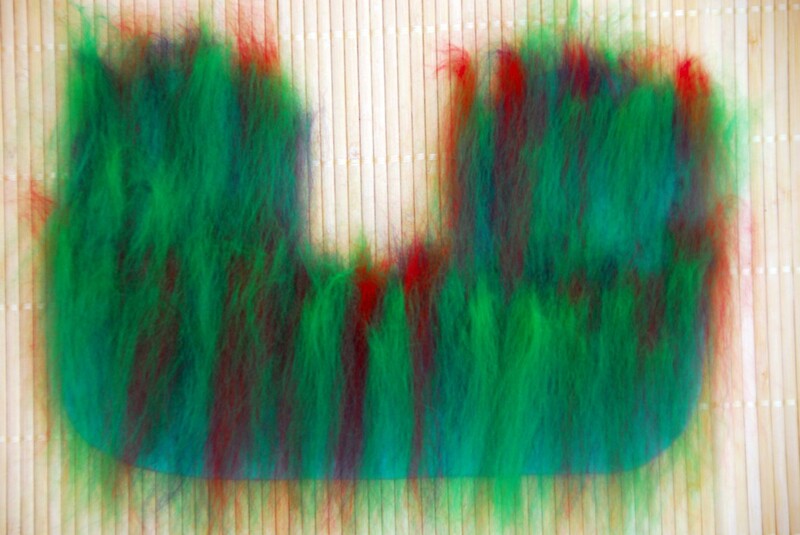 I usually purchase 100gram of mixed colors (20) from e-Bay heidifeathers (seller) or select a colors from Wingham Wool. I would estimate that you will probably only use a fraction of that, maybe 10 grams for the slippers! Hard to tell exactly, as it depends on how thick or thin you lay down your fibers. Thin layers are better for these slippers. They use very little wool. I should perhaps have weighed them when they were dry – will do that next time. It is however nice to have a range of colors in your stash. 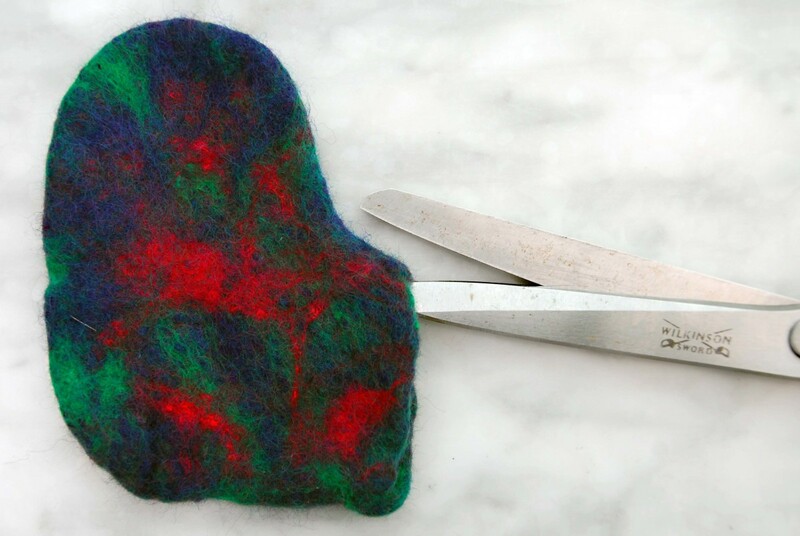 You won’t want to stop felting once you begin! It can be quite addictive. The roving is usually sold in grams. 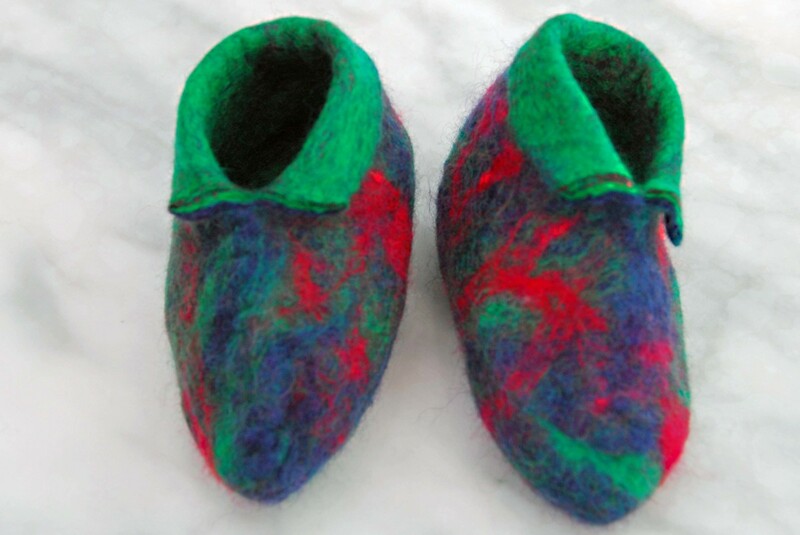 Have fun felting and please let me know how you get on. Do you have any idea how much wool this would take (pref in ounces)? I have knit and crocheted for many years and have felted already knit projects and second hand sweaters, but have never done wet felting. 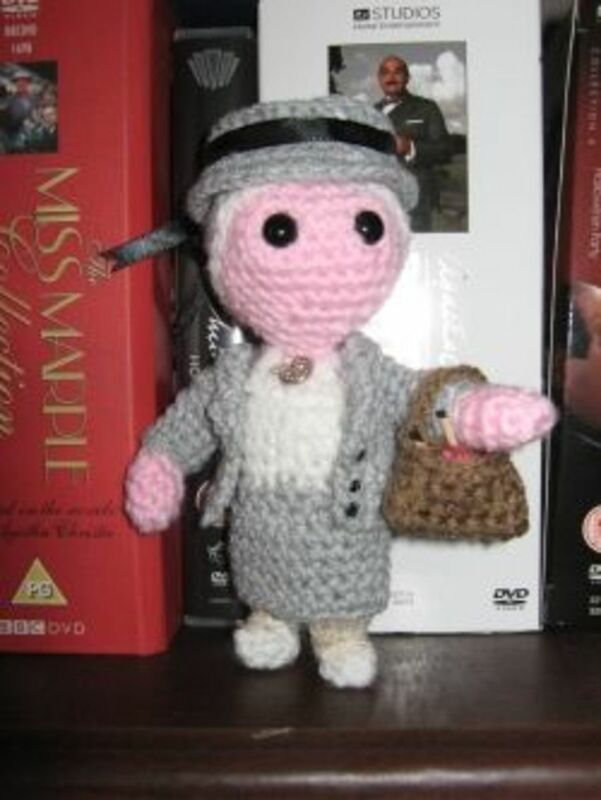 I'd love to try to make these for my daughter but have no idea how much wool to buy. Thanks! teaches12345 - yes and so easy to make , a hand crafted pair of booties which come from the heart. I agree, they would make a great gift. Thank you for the comment and also the vote up. I very much appreciate your visit. Thank you. These booties are adorable and I imagine just the right thing for children this chilly winter. They would make great gifts this Christmas season. Voted up and more. Hello Megan, Yes it would work out for a much older child or adult. You could draw around the foot of the person and then add extra around the edges for shrinkage in the way the pattern pattern is shown above. I would estimate that shrinkage is around thirty to forty percent but this really does depend on the wool you use, also, the more you rub, the more the item will shrink. You can pretty much control the shrinkage though. The good thing is that you stretch them into shape by using heat and moisture if you make them too small. They are decorative but they can also be practical. It is possible to add a leather sole or place silicone or rubber blobs on the feet to prevent a person slipping on hard floors. (available in tubes) There are some examples of this product on the internet. It is even possible to felt a pair of slippers around your own foot or purchase forms made of polystyrene to make your slipper or shoe onto. Have fun experimenting, this is where it all begins. 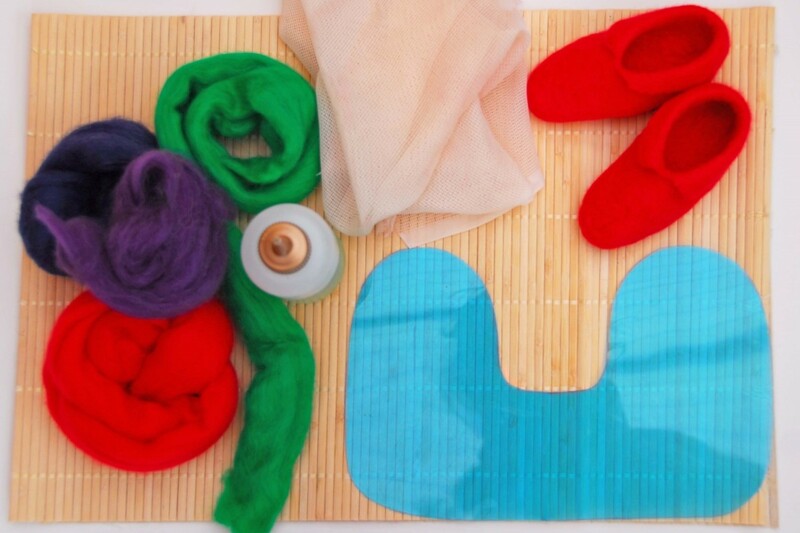 Once you have mastered the basics of felting, you will be moving onto making hats, scarves, finger-less gloves and many more practical and/or simply decorative items. 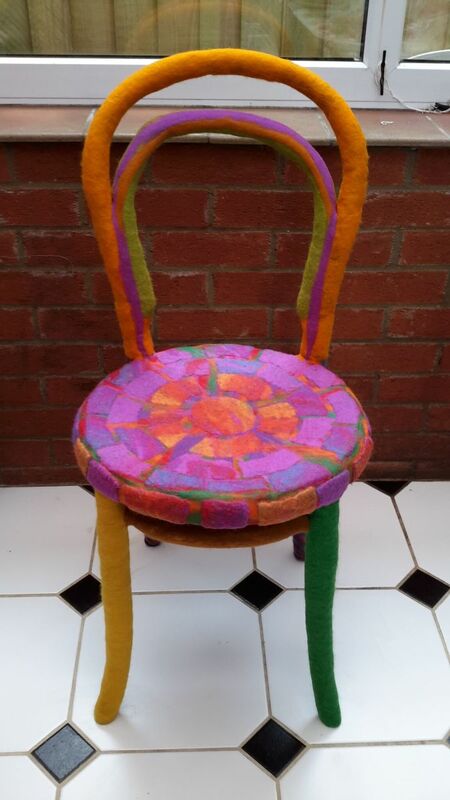 Have fun experimenting and check out my other Hubs on HubPages for some more interesting ways of working with wool. would it work to make these larger for an older child? Would they hold up to being walked in, or are they mostly just decorative? Amy - I would say that they would probably fit an infant of about 3 to 6 months but this may be a little flexible, really depends on how much you shrink them - the more rubbing, the more shrinkage. Thanks for your visit and your comments. Thanks Vicki, small is cute and yes, they were fun to make. Thanks for stopping by. Those are really cute! It looks as though they would be fun to make too! So glad that you could enjoyed the Tutorial Vacation Trip. Thank you so much for stopping by. Interesting hub. Great idea and very creative. Thanks for sharing. Thank you ComfortB I am so glad you like them. It sure is an amazing thing that just a little bit of wool fiber, some hot water soapy water and a bit of friction help to create a fabric which is both wearable and beautiful. Thank you so much for the vote up, I appreciate your stopping by. This is beautiful! Very cute. It's just amazing how you can go from these scattered little wool bits and get something whole out of it.